BC Liberal leader Christy Clark during an unveiling of the party’s platform in Vancouver on April 15, 2013. Lobbyists and other power brokers are routinely buying their way into British Columbia's political inner circles by donating generously to the party in power several times a year, a practice industry insiders consider the cost of doing business in a province with an entrenched pay-to-play culture. A Globe and Mail review of public records found dozens of people who get paid to promote special interests also give tens of thousands of dollars every year – under their own names, not those of the interests they represent – to help B.C. 's governing politicians pay for their campaigns. Many are registered lobbyists, whose job is trying to influence those politicians to make decisions that will benefit their clients. Those unfettered donations would not be allowed almost anywhere else in Canada, because most other provinces and the federal government now have annual caps on how much individual donors can give. B.C. has almost no rules governing political donations, making it a holdout and an outlier and leading many critics to brand it as the "wild west." Other governments tightened their rules after a recent Globe investigation into political fundraisers. The Trudeau Liberals effectively banned private cash-for-access events – in addition to already strict limits of about $1,500 a year a donor. Ontario's Liberal government put an annual cap of $1,200 on donations and barred MPPs from attending cash-for-access fundraisers. Free from any such restraints, the governing Liberals in B.C. raised much more money than any other provincial party in power last year – an astonishing $12-million. That is two-thirds of what the federal Liberals collected from supporters across the country and double the amount raised by the Liberals in Ontario, which has a much bigger economy than B.C. The Globe investigation in B.C. also found some lobbyists violating one of the few rules the province has: that donors cannot be reimbursed by clients or companies for their political contributions. Doing so means they are giving on behalf of other entities and leaving the public in the dark about the source of the money because the contribution is listed in public records as coming from the lobbyist not the company or person that covered the cost. Registered lobbyist Mark Jiles tops the list for the number of donations to the governing Liberal Party. He has given 89 times since 2011 – $68,209 in all – mostly in his own name. That is more than the average Canadian earns in a year. Mark Jiles (back left) is seen with B.C. Minister of Justice Suzanne Anton (front left). Until now, donors such as Mr. Jiles have gone largely unnoticed – despite voter skepticism over the influence of money in politics and increased scrutiny of the biggest contributors. They are independent consultants or salaried employees – not wealthy philanthropists. They fly under the radar because they give multiple times rather than in one lump sum and often donate in their own names, not those of the special interests they represent. Usually, they pay thousands of dollars for tickets or tables at fundraisers, where they or their clients can chat up politicians, after being tapped repeatedly by the political parties to buy in. Because individuals and corporations – foreign or local – can give as many times as they want to in B.C., some Liberal supporters told The Globe it is a free-for-all – and some players who need to compete with others for politicians' attention feel "coerced" by the party to keep giving or be shut out of the increasingly expensive inner circles. One lobbyist said there is "no limit" to the calls and e-mails from the Liberals – and also from the New Democrats – asking for money, and it feels "extortionist." A consultant called it "like a shakedown," particularly near election time. Still, another said B.C. 's system "corrupts in a very deep and profound way." The rules in B.C. making it illegal to donate on behalf of others make it very clear the money must come from the contributor's own pocket. "The Elections Act is very specific that it must be your money. 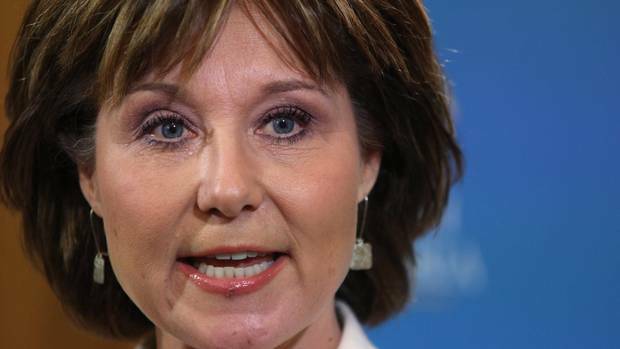 You can't make a political contribution and then be reimbursed by an organization or individual," said Elections B.C. deputy chief electoral officer Nola Western. "It is trying to guard against potential corruption or the appearance of corruption." Several party donors and insiders told The Globe that law is routinely skirted by scores of individuals who represent special interests, and made donations for which they are reimbursed. One of Mr. Jiles' clients is the B.C. Salmon Farmer's Association. Its executive director said the lobbyist sometimes buys fundraiser tickets for its members in his name, then the association pays him back. "That's what he is there for. It's his full-time job," Jeremy Dunn said. "He can provide us with the best advice in terms of where we need to be." Mr. Jiles confirmed clients have directly reimbursed him for fundraising tickets. He also said when he makes a donation, it is a business expense – so he is paying on behalf of his company, Bluestone Government Relations, not himself. However, his name shows up repeatedly in public records as an individual donor. "This has been a mistake. … Most, if not all, [of the personal donations] should have come under my corporate name," Mr. Jiles said. "I [also] identified some accounting mistakes with my past corporate donations and some of my clients were actually billed." He stressed he is far from alone – that individual lobbyists and consultants give money to the governing party all the time. "I've been singled out because I am an individual running a government relations firm, but if you look at some of the bigger [lobbying] firms and how much they have donated – as a team – I bet we are pretty close." As a result of The Globe's inquiries, Mr. Jiles said he contacted the Liberal Party, which has asked him to return all tax receipts he received for donations made in his name. He also said he has asked the party to correct the public record to reflect who the real donors were. Even though it is illegal to give money on behalf of another entity, Elections B.C. told The Globe it has never tried to have anyone charged. Ms. Western said it investigated two or three allegations years ago, but could not get any evidence, partly because it does not have the power to review donors' financial records. "We have been unable to prove that that is happening," she said, adding that parties have to divulge only who donated more than $250 – not whether the amounts were simple donations or payments for tickets to fundraisers. Donors also do not have to disclose who they work for, even though experts on campaign-finance reform say that would shine a light on where the money comes from. Another frequent donor is Byng Giraud, the top in-house lobbyist for Woodfibre LNG, an Indonesian firm that is building a liquefied natural gas plant near Squamish that some locals oppose. Bios of Mr. Giraud online say he "has extensive political experience." He has also given the B.C. Liberals $47,149 in 20 payments, under his own name, in the past three years. A less senior Woodfibre manager, Marian Ngo, gave the party $28,000, in 14 donations, most of that just last year. She had never donated to any B.C. political campaign before becoming a lobbyist for the LNG firm. Marian Ngo (second from left) and Byng Giraud (far right) at a 2016 golf tournament and fundraiser with B.C. Liberal MLA John Yap (far left). The pair's combined contributions exceeded the $69,500 that Woodfibre has donated under its companies' names. "I expense it. I put it on my own credit card and then I expense it and get reimbursed [by Woodfibre]," Mr. Giraud said. He made it clear all of those donations were for fundraisers – and he and Ms. Ngo paid on behalf of their employer, not out of their own pockets. "This is common practice," Mr. Giraud said, adding that the ticket-purchase forms on the party's website often have no field to put the company name. "If I have done something wrong, I will fix it. I am not trying to hide here." During the period he and Ms. Ngo were giving the governing party money, their employer's LNG plant proposal was undergoing environmental assessments, which passed. It also negotiated a controversial subsidy on electricity rates from the province and other tax breaks. Mr. Giraud said attending lots of fundraisers is "a good way for your organization to get remembered. … It's important to be seen and it's just part of the culture. It's the cocktail circuit for people who are in politics." Christy Clark with Byng Giraud at a Woodfibre LNG project announcement. He agrees with other Liberal supporters that the optics of unlimited donations are not good. "I see it as less of an issue of the money. It's that people feel there is something wrong or nefarious," he said, stressing that he thinks there is not. "The perception is an issue for our democracy – and it should probably be improved." Another frequent donor who represents foreign interests is Larry Yen, a consultant and lawyer, primarily for Chinese clients, who gave 13 times since 2013 – in payments totalling more than $100,000. Mr. Yen told The Globe he gives to "support Chinese to participate in politics," but does not make contributions on behalf of others. His clients have included China Keli Electric Co. Ltd., a supplier of high-tech electric equipment owned by a Chinese parent company expanding into Canada. It was reviewed by the B.C. Securities Commission in 2014 for failing to disclose enough specifics about its operations. China Keli has never contributed to any provincial party in British Columbia, even though donations from foreign entities are allowed. The Globe has compiled a small sample of 53 individual Liberal Party donors – all who give frequently and also get paid to represent clients and special interests. It includes only people who gave $1,000 or more in multiple donations last year, plus numerous contributions in the preceding years since Christy Clark became Premier in 2011. Among them are 19 lobbyists, plus financial advisers, public-relations professionals and executive directors. Each gave 19 times, on average. Four out of five contributed more than $10,000 under their own names. "They all swim in the same circles," said Martyn Brown, who learned how politics works as chief of staff to former Liberal premier Gordon Campbell. Mr. Brown is now a columnist who has criticized the party's fundraising system. "It is first and foremost to open doors and establish relationships – and it does work to a degree because it identifies donors – in the party's eyes – as friends or enemies." Those frequent contributors also give disproportionately more money than those who donate only once. Of all Liberal Party contributors last year, 28 per cent gave two or more times, while the other 72 per cent gave only once. The donations from contributors who gave multiple times amounted to $6.58-million – a million dollars more than all one-time donors combined. After they give, contributors said, they are forever on a party's contact list, and because of their occupation, they feel obligated to give repeatedly to maintain their relationship with the politicians. "It's like you are getting strong-armed," said one of four lobbyists and consultants The Globe interviewed, but agreed not to name because they fear their livelihoods could be affected. If they do not donate when asked, some believe the party in power will shut them out, which would kill any chance to gain access or influence for the clients or employers they represent. "You are paying not to be blacklisted," she said. "The whole thing is smelly." "It's telegraphed quite clearly from the party what is expected of you," said another lobbyist who donated in her own name on occasion but said she is not actually a political supporter. "It's the price of doing business," the lobbyist said. "It bugs me. It's not right." The Globe's list of 53 frequent donors includes 13 who work for wealthy foreign companies or individuals. Among those are Johnny Cheung and his assistant Tina Yang, financial advisers with National Bank. Their website advertises many services for Chinese clients arriving in Vancouver, such as finding realtors, getting their children into school and arranging visas. Since 2012, Mr. Cheung has personally given $32,890 to the B.C. Liberals in 23 payments, all in different amounts. Ms. Yang also gave $30,000, in two large payments. The Globe tried several times to ask them if they did that on behalf of clients. Both declined to comment. More than two dozen of the 53 donors on The Globe's list, including Mr. Cheung, gave more to the party in power under their own names than did the organizations they work for. Both Premier Clark and NDP leader John Horgan have flatly refused to stop holding the private fundraisers from which much of that money flows. Critics are scratching their heads over why B.C. continues to hold out while Ottawa, Ontario and Alberta recently bowed to pressure and capped or reduced donation limits. "It opens the door to the potential for corruption and for the perception that the system is corrupt," Mr. Brown said. "It's morally indefensible." One lobbyist and Liberal-Party supporter who donated less than $300 last year said he never buys fundraising tickets for his clients. Mike Geoghegan said that is because he got called out by a journalist for doing it several years ago, when the law prohibiting that practice first came into effect. The RCMP let him off with a warning. "I was a little gobsmacked when I got the phone call [from police]," said Mr. Geoghegan, who has been a lobbyist in B.C. for two decades. "Ever since that day, I have made a point of saying: You should attend events – but you have to purchase the tickets in your name." Mr. Geoghegan said fundraisers give him a great chance to connect directly with politicians. However, he also thinks B.C. should limit the price. "We should not be doing policy on the basis of who can show up with the biggest bag of money," he said. "If we want to be seen as a place where you can do business and you will be treated fairly, the rules need to be tightened." The polar opposite to B.C. is Quebec, which now has the strictest rules in Canada after years of scandals. Several witnesses told an inquiry into corruption in the construction industry there that individuals who gave multiple times were often "straw donors," giving on behalf of entities who were trying to avoid scrutiny but maximize their influence. "Some companies circumvented the electoral law by asking their employees to make contributions, which they reimbursed through a variety of schemes," said the commission's final report in 2015. Individuals in Quebec are now barred from giving more than $100 a year, a party. Some of the unnamed B.C. Liberal donors The Globe talked to admitted that when they pay in their own name, they use the receipt they get for a personal tax credit, which is a maximum of $500 a year. If they recoup the donation from clients or employers, claiming that credit would be considered tax fraud. "You get the tax credit on it. [The parties] all point out to you – 'by the way you get a tax credit,'" said one lobbyist, who feels he was "complicit in a corrupt system" and said he has since realized what he was doing was wrong. "I had booked a [fundraiser] table in my own name. They had told me that – the client – just bill it back to us. But at the end of the month when I sent my invoice, I got an immediate phone call saying you can't claim this," he said. "We don't mind you claiming the money [the client said], we just don't want to see B.C. Liberal fundraiser on your invoice. Just bill us for more hours," he explained. "At that point I realized – I have been totally corrupted." Another consultant who has made several personal donations said she did not pay for any of them with her own money. "You buy the whole table in your name and then fill it in with guests," she said. "You get reimbursed. Different organizations do it in different ways. We expense it through." Mr. Dunn, who represents the B.C. salmon farmers, said he would like to see limits put on individual donations, because his organization cannot afford to compete with wealthier power brokers whom he thinks have more influence. "Our members are frustrated – when opponents of their industry can purchase access," Mr. Dunn said. "That has been a frustration for a long time." Members of the wealthy Allard family – who run an organization called Wild Salmon Forever – have made frequent donations to the Liberal Party in their own names, in 20 contributions totalling almost $120,000 since 2014. Tony Allard, the organization's chairman, also introduced Premier Clark at her $1,000 a plate leader's dinner fundraiser last year. 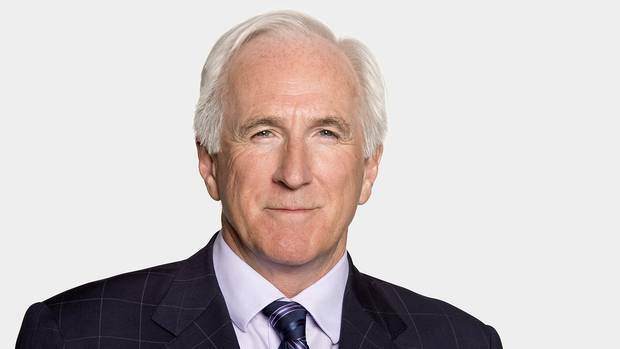 A former politician who was a Liberal cabinet minister before Ms. Clark came to power told The Globe he saw firsthand how people with vested interests who donate a lot of money believe they have clout to get what they want. Kash Heed was B.C. solicitor-general in 2009 and 2010, before he resigned over an investigation into his own campaign financing that later cleared him of wrongdoing. While he was in office, Mr. Heed said, representatives of the New Car Dealers Association – one of the B.C. Liberals' top donors at the time – were sent to see him by Deputy Premier Rich Coleman, who is heavily involved in party fundraising. When they met in his office, Mr. Heed said, the group demanded he fire the chair of the Motor Vehicle Sales Authority, a government-backed consumer protection agency, because he was taking the industry to task for misleading advertising. "He wanted to hold them to account. And they wanted him removed. I had the authority to do that. And I refused to," Mr. Heed said. "They feel they have influence. They had no problems dropping Rich Coleman's name several times." The car dealers' group has given the B.C. Liberals more than half a million dollars since 2011. On top of that, the group's office manager, Shakira Maqbool, has given $25,805 in 10 donations, under her own name, since 2013. Association chief executive Blair Qualey told The Globe in an e-mail, "There were meetings during that period with the then minister [Heed] regarding policies, not personnel." He also admitted Ms. Maqbool's donations should have been recorded under her employer's name. "We are reaching out to the B.C. Liberal Party and Elections B.C. today to get our staff persons' name removed" from the public record, Mr. Qualey said, adding she "has not ever received any personal tax receipts for the donations." The B.C. Liberals declined a request for an interview with executive director Laura Miller about all of this. The party sent a general statement, which said, in part, "We recognize there is a range of opinions with respect to BC's political financing system. Our view is that British Columbians are well served by a system in which they can financially support the party of their choice." Lobbyists and consultants The Globe interviewed all agreed both main political parties in B.C. are equally guilty of squeezing money from players who want something from government. Several said the New Democrats hit them up hard right before the 2013 election, when the polls were predicting they would win. "I'd get two or three calls a week from the NDP," one lobbyist said. "There was an expectation – 'Hey we are going to be in power – it would probably be advantageous to give us some money so we can be friends.'" The bottom line, several lobbyists say, is that they are tired of getting tapped for money, tired of having to go to endless fundraisers and tired of trying to compete with those who have deeper pockets. "It is pay to play. But it doesn't mean you are going to win the game. You are paying just to be in the tournament," one consultant said. The province should put limits on the amount that can be donated, another said. "What that means is, 'Look, I have reached my legal limit, you have to go talk to somebody else.'"